The charge generated by the piezoelectric element in the switch is typically used to turn on an integrated semiconductor device such as a field effect transistor (FET), causing the switch assembly's output to be active, or "on". 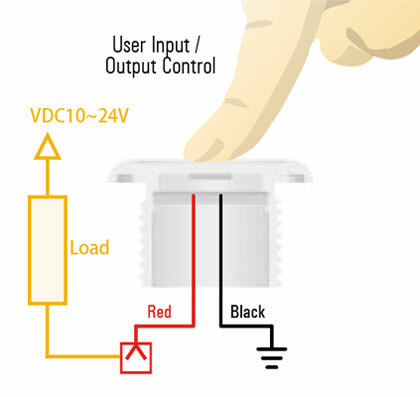 When the FET is on, current can flow through it as with a conventional metal contact-based switch. After the voltage pulse is dissipated in the gate resistor, the FET turns back "off", its normal high impedance state. The Piezoelectric Effect uses the fact that force applied to certain materials causes stresses that generate this electric charge. 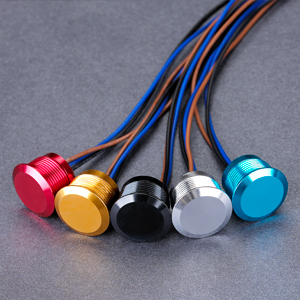 In the case of piezo switches, the force could be compressive pressure that causes the (typically disc-shaped) piezo element to bend very slightly like a drumhead. Thus piezo switches produce a single, brief "on" pulse. This pulse can vary with the amount of pressure which is applied, since higher pressures generate higher voltages which take longer to dissipate. A capacitor may be used to store the charge in order to lengthen the time constant of the gate circuit and therefore the width of the pulse. 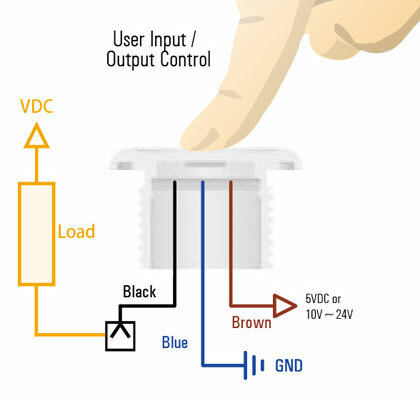 With additional circuitry this pulse can be extended further or used to change the state of an output from steady "Off" to steady "On" by toggling a flip-flop. 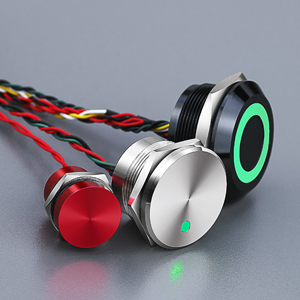 Piezo switches have some interesting advantages over their conventional mechanical counterparts. One is that there are no moving parts necessary for them to do their job. This means the lifetime of such a switch can be ensured to be tens of millions of operations, since there is no wear involved. Another advantage is that they may easily be completely sealed from the environment and thus made weatherproof. They are often constructed with stainless steel housings such that they are resistant to damage by vandals or heavy use.